1. Do you allocate real UK street address's or PO Boxes? The mail address you receive from myUKpost is a REAL UK address and not a PO Box or MailBox... 99% of UK Government Offices, Banks and large companies will no longer accept a PO Box/Mailbox as a valid address... but they will accept myUKpost addresses. All kinds of mail can be delivered to our REAL mail address very easily, we sort it every morning by hand from 8am. Your myUKpost address, can be used of all your PERSONAL & BUSINESS mail. 2. Do the parcels and packages sent to myUKpost address need to be from retailers, or I can receive them from an individuals also? myUKpost allows you to receive mail from anyone at your given address. It may be a close friend, relative or a merchant. 3. How frequently can you send me my mail? We can send you your stored physical mail as and when you want us to. You can select for options like daily, monthly, weekly or fortnightly when setting up your account at myUKpost. After that you can change your instructions, by emailing or calling us anytime. Please note, that because we have our own dedicated post-codes, that using the Royal Mail redirection service will not be needed; as we offer a far more reliable solution. Please contact us for additional advice regarding re-directing un-opened Mail. But if you have something special or urgent expected, call or email us beforehand and we will try our best to get it to the top of pile! 4. How do you send my mail and parcels onto me? We offer you multiple mail delivery options such as email, national post, courier and freight service. Our chosen couriers operate in most countries. 5. Will you send all my mail individually or combine them into a single parcel? We will send you mail individually, unless you choose bulk mail delivery service. However, you can ask us to consolidate all your mail into one parcel saving you money! Ideal at Christmas, when you buy loads of small presents, and we package into one. 6, What if I only want to use you for a one-off or just a few weeks? But we are open and friendly; if you just want us for a one off, or an annual minimum use, then contact us and we will quote you for a one off price..
for example:- government agency registration/handling we can do an annual price from just £50 pa.
We think it is better to work on mutual trust and respect! 7. How long can you store my mail in the given UK mail address? We can store your mail as long as you want. However, after one month, you will be charged for keeping the mail stored at myUKpost. Please go through our pricing page to find more details about our charges. 8, Can I receive my mail when I am travelling? Of course, we will scan your mail and send it to an alternative email address when you are traveling. 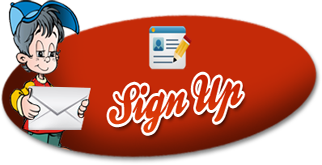 Just log onto your control panel and tell us the new or temporary email address. 9. Are my personal details kept confidential? Don’t you pass on them to any third party? 10. Will my mail be safe when it’s in your possession? Your mail item will always be safe and secure as it is stored offline in our file storage system for enhanced security. All our staff are vetted and experienced in handling confidential material. We carry well in excess of the UK requirements for insurance and liability, to protect you. 1, you are overseas and your cards are lost or stolen, by getting them sent to us, next day, we can next day the new cards to you... try getting a UK bank to next day to the Greek Islands in August! so your holiday isn't ruined and your insurance will probably pay for the courier fees! 11. How much do I need to pay for a myUKpost account and its mail forwarding services? Please go through our pricing page and find out sign up charges and mail forwarding rates to your country. All our clients pay a monthly subscription fee of £10 (plus VAT within the EU), also we require a deposit of £40 to be held against any future charges, such as scanning, postage, storage etc. If you feel that this amount is too low, then we can change this amount, subject to separate written confirmation from you, same in return if you feel £40 is too high. Just call us for further info, we want your business, and will do our best to accommodate all needs. All our payments are processed via paypal. All Auto-tops are processed via Paypal References Transactions and can be cancelled at anytime without penalties. For our shopping service and forwarding of valuable goods/documents we reserve the right to insist on payment of cleared funds via credit into our bank accounts, in the UK. If this cannot be provided, and we are in receipt of goods we will return to the supplier. When myUKpost is providing addresses for the maintenance of services such as driving licences and other forms of ID, we insist on the subscription be maintained whilst you are using our address. Upon cancellation of our services, we reserve the right to notify any/all authorities of the ceasing of the use of our address services. MyUKpost do not store any credit/debit card details on or offline. 12. How fast can I start to use my address after creating a sign up? By law, we are required to send you the below questionnaire that must be returned with 14 days, if you are forming a company and/or a bank account, we cannot start the process until this is returned. 13. How can I contact you? 14. Is there any limitation on what mail items I can receive at my UK address? We don’t accept anything that is dangerous or illegal. Contact us in advance if you are not sure. Please remember that if we receive anything that we deem in breach, we reserve the right to open and check the contents, and call the relevant authorities. We reserve the right to withhold items to ensure that all invoices are paid in full with ourselves and suppliers. If credit cards/paypal have been used then we reserve the right to insist on cleared/irretrievable funds. If we discover anything suspicous or in our opinion mis-use of the address service, then we reserve the right to immediately close the account, without any refunds. Our decision to close any account is final. 15. Where can I get information about the items that I’m not supposed to import into my country? You can call us, look at the main global couriers websites such as FEDEX, DHL, UPS etc for their policies, or contact your local customs office. We are not responsible for illegal/banned products, remember what might be legal in the sending country, might be illegal in the receiving country... so check in advance. We are not prudes, so providing it is legal at both ends we dont care, we can even offer a discreet packaging service... ideal to stop nosey kids at christmas, or that special valentines present! As mentioned in our terms and conditions, you can cancel at anytime, all you need to do is log on through your control panel, and send a message throught the contact us/cancel ticket system. Any funds that are owing on your deposit account, will be refunded straight away. Th prevent fraud, this is the only means that we can accept cancellation, as this way is trackable. Please also note that it is your responsibility to also cancel the recurring payment profile if you have used paypal. Please note that if you have used any of our addresses for registering with Banks, Credit Cards, DVLA, DWP, Passport Agency etc, that upon cancellation we will inform them that you are no longer are using/at, care/of our address. The cost to write to these agencies are covered in our price list. Distance Selling Rules 2000, we totally respect and will honour the distance selling rules for all clients within the EU, the commencement date of service shall be the date that we notify the client their unique address, and for 7 business days from this point. However the moment that you "start to use" our services, then these rights are waived. Note; "start to use" is defined as when we accept, via email. your submission of your compliance and ID documents. We reserve the right to withhold any deposits paid, if you cancel within 3 months of registration. This is to cover the high costs of creating an account, i.e. checks and references, and to prevent fraudulent applications. We try to keep our costs down, by applying common sense, so please tell us, if there is a letter or marketing material that you want in advance, if we think something is junk we will bin it... any doubts we will copy the first page and send it to you, if you dont reply within 7 days we will bin it. All our staff are trained for applying common sense, and we are not scared of the phone, like most web based businesses, we are real humans, any doubt we will contact you free of charge! and ask for your instructions.... we are not going to slice a 50 page glossy mag into pages just to eat your credit... we will call you... remember that we only charge from 10p per page... unlike everyone else! 18. What is your VAT rules? By law we have to charge VAT for clients who live within the European Union, we are VAT registered; our number is 131 5911 38. It is important that you notify us of changes of addresses, especially if you are moving back into the EU zone. It is where you reside, not where your bills are sent that is important. for businesses within the EU we reserve the right to still charge VAT, and provide a full VAT receipt for you to reclaim form your own VAT authority.